Theodora Elston is a world renowned textile artist who began making her wearable micro-macrame jewelry in the early 1970s. 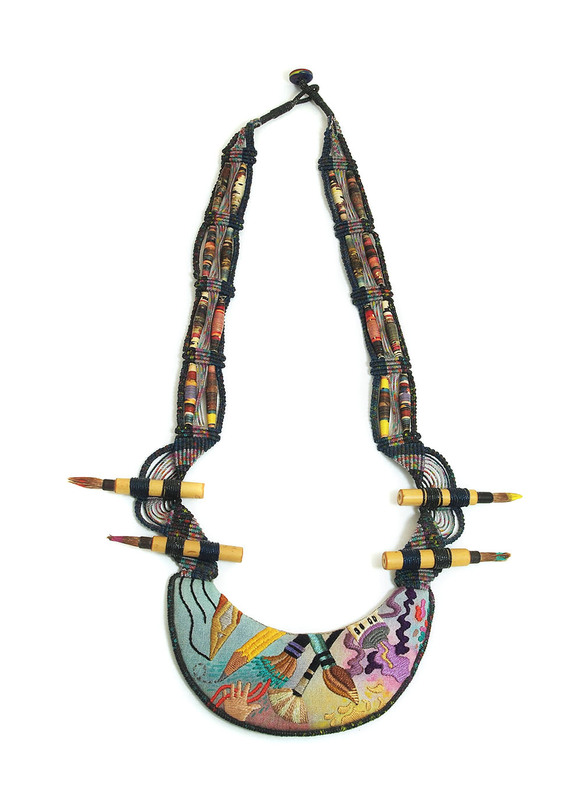 Using a combination of textile and enamel techniques, she has been celebrated for her work in Fiber Arts Magazine and Ornament Magazine and has been included in countless exhibitions throughout the United States. Smithsonian American Museum, Washington D.C.